Screen recorder is a best and essential tool to record anything from your Android device and it is essential to make how to videos, educational videos and stream your gameplay. It is easy to use and record the required image, video or audio in a high quality manner. Pro Tip There are various app to do screen recording app with paid and free version available. Before downloading a app, check for the required feature and the purpose for using it. The screen recorder for Android comes with lot of features which comes with no time limit for recording. You also have the option to cut and edit the video that can be from beginning, middle or end of the video. Replace the audio with whatever you want and also turn convert section to GIFs as required. You also have the option to select the video quality to get a clear quality picture. In addition, add effects to your video to impress viewers. It is a popular and top screen recorder app which is easy to use and does not require root access. There will be four icons in the center of the screen where you can start recording, adjust app setting, and access the folder with your recorded videos. You can also front facing camera for things like game streams or commentary. Do recording with no time limit. There is also built-in video editor for doing editing from any section. you can have a great quality of playback. When the recording starts, a red dot in the lower right corner of the screen will start to blink and if you tap again it will pause. From its setting, you can choose the output video quality and also adjust the bit rate. Another big advantage of AZ screen recorder for Android is there is free and paid version for the tool. It works well with Android 5.0 and the best app to create HD and full HD videos. After the screen capture, the videos are automatically saved to the gallery. This is a best app to record your Android screen in a high quality manner and this is a free tool which has many features in it. After downloading from the google play store and enabling it, there would be a small video recorder icon which is displayed on the mobile screen. This icon can be dragged and dropped anywhere for screen recording. You can also turn it off by dragging the icon to the bottom of the screen. For recording, you have to launch the app icon and press the record button. If you want to stop or pause recording, you should tap the same button. The output file can be edited and shared. It has screen broadcast feature where you can do live streaming to Facebook, you tube and twitch. It also comes with privacy setting and has broadcast resolution setting. Add more flavors to your screenshot. The editing work can be done from any section of the video and also you don’t need to root in order to record. You can also link fragments together, add music on the background and also adjust the volume of the video. After completing the work, you can save it in smartphone’s memory or share it through social media site. In this, there is no ad or any price set to it. There is custom storage folder to save your recording. You can do internal audio recording. You also have the option to record audio from mic and also from speaker that is configurable . Choose between different bitrate, resolution and FPS. Screemcam lets you to do recording with no time limit and it is a free version which has all the essential feature. It is the best way to record important video and share it with others. It is a another simple to use and top screen recorder program for Android 5.0+ and it does not require rooting. The best tool to capture online videos, webinar and more. Once you have finished the recording, you can share the recording with others. With the lollipop app, you can capture full screen of the mobile or partial screen of the mobile. Screen recording takes place in device’s native resolution and if you want to capture video in landscape mode, then you have the option before recording starts. The recording can be started by tapping the shutter button on the top right corner. You can store recording on SD card. The recording can be stored in centralized folder. Has advantage in terms of redundancy and portability. Once you have completed the recording, you can do editing that can be from any part of the video and the recording can be shared with others easily. You can also modify metrics like bit rate, resolution and orientation of the image. When you are capturing high definition recording, the cameras can be used to obtain a picture in picture mode. It is one of the popular and best screen recording app in the play store. Many useful and important things are displayed in screen and it is easy to capture the screen. 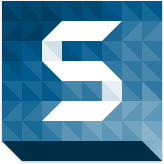 It is a free app where you need Android 4.4 or higher to install the app. You can do recording in a full HD manner with 1080p resolution, 12.0 Mbps quality and 60 Fps. Mobizen lets you to record long videos and also capture your reaction freely while recording the game sound. There is also various video editing feature where you can trim, cut and other feature available to give a professional look. Manage files all the files on your Android with the use of PC. Put your favorite BGM to make a personalized video. Record internal audio of the device. The captured videos can be saved in can also be saved SD card and you can view other device. Another important feature is that, you can do recording with different resolution, frame rate and other customizable setting. This is the best way to record the mobile screen as you want and the best way to share information to others. It is a professional and top screen recording app where there is no root required for it. This is a user friendly app and do recording in a high quality manner. In this app, there is no root required and do full HD screen recording. Super screen recorder lets you to capture the specified area and has various editing feature. You can also pause or resume screen recording with floating window or notification bar. To stop recording, you can shake the phone and also to hide floating window. If it is a long time running video, you can save it in SD card and get highest quality recording with 1080P, 12Mbps and 60FPS. Convert your favorite video into animated GIF file. The super screen recorder is useful to capture mobile game, live show, video calls and other. With facecam recorder, enable front camera to capture your reaction while screen recording that is very useful for game recorder. It also supports portrait, landscape and auto screen record mode. You can also compress video and easily share with others. This app has all the essential feature to create a beautiful app. 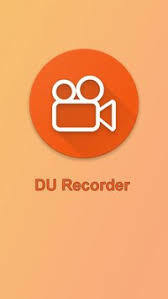 If you want to record anything from the Android smartphone then it is best to use screen recorder. You can do screen capture with resolution from 240p to 1080p and save the videos in mobile or SD card. Screen recorder is a free app and it supports multiple languages. By using this app, do recording along with audio that also includes mic recording. Do editing to cut unnecessary section from the video and the app helps you to create video according to the requirement. There is no recording time limit. Make GIF from the recorded image. Day and night theme support. Another important feature is that you have the option to do delayed start up which helps you to decide when to record. This method helps you to avoid unnecessary recording and also record the sounds of the site that you visit. After you have completed the recording, crop anything with the app’s integrated editing tool. When you want to stop the recording, you can shake the phone or lock the screen to stop recording. You can also set resolution, frame rate and sound quality for the video. The best way to record screen in a easy manner and do screen capture without any restriction. You can do recording with all kinds of feature and it does not require root. The Screencasting for Android comes with 2 engine like default and advanced. You can also pause recording and also use front or back camera while recording. With ADV, set your text and banner with full customization and also draw on your screen with favorite color. Once you have completed the screen recording, trim the video from beginning, middle and end of the video to give a beautiful video. 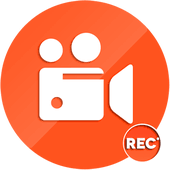 This screen recorder app does not contain watermark and it is ideal to capture online videos, tutorial, webinar, skype calls and more in a good quality. The recording starts with a countdown of 3 seconds and the ideal way to share important information to others. It has friendly interface and anyone can use this app to record important things from the Android screen. ADV screen recorder app is user friendly but falls short on updates. The best way to record your Android mobile screen and record videos from your Android 5.0 Lollipop or later device. It is the easiest way to record your mobile screen along with audio where the audio is recorded from your device microphone. Ilos screen recorder does not require a rooted device to record the screen and for Android 5.0 or later it is required. Upload your video in social media site and other site. Capture in HD and full HD manner. This is a free screen recorder app for Android device and capture anything from the screen. After recording, you can save them directly to your mobile device and do trimming work to cut unnecessary section from the video. Once you have installed the app in your mobile, you can open the application in the mobile and it has two option like capture screen and upload video. In upload video, you can set video title, limit and share with others. There is also paid app where you can get full access and has all kind of features. You can share the video and organize them into playlist. 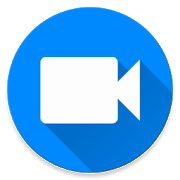 Get the top screen recorder for your Android 5.0+ and this app is completely free. You can download the app from the google playstore and the recording can be done in a easy manner. With this screen recorder, you can capture the complete screen or partial screen and do editing from any part after completing the screen recording. To do screen recording, you can open the one shot app and click screen cast icon on the top right of the screen. Get the permission to do recording when prompted by the system and there is a floating action button to start recording and also stop recording by pressing the power button. It supports up 4K recording. Display your logo during recording. You can hide the notification icon. You can also limit your recording session. If you need to do another screen recording, you can keep the floating action button and switch to your appropriate start again. This app meets all your expectation and the recorded video can be easily uploaded to YouTube quickly. One Shot screen recorder is a ideal one for home and personal use. Get high quality of video during recording and you can save it in SD card also. You might have come to know about all features of the software and while selecting the product it should meet your requirement and usage. Try to use an screen recorder app which has frequent updates as the technology grows day by day.